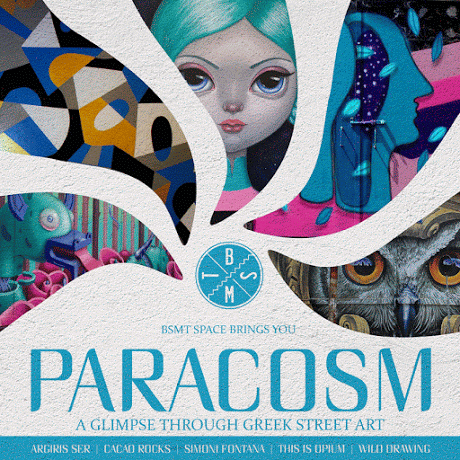 London's BSMT SPACE presents 'Paracosm', a glimpse through Greek Street Art. A dip into the otherworldly and detailed imagination of five of Greece's biggest names in Street Art including Argiris Ser, Cacao Rocks, WD street art, Thisisopium and Simoni Fontana. 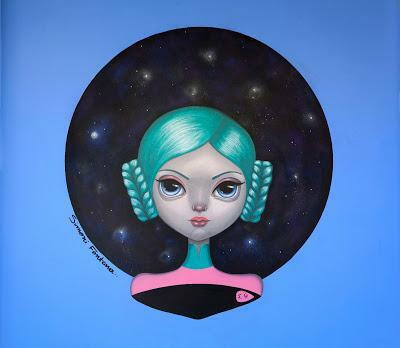 Take your mind on a journey free from all real-world attachment and immerse yourself in the colourful and surreal language of these five artists. From Ancient Greek παρά (para, “beside, alongside”) + κόσμος (kosmos, “world, universe”), 'Paracosm' will showcase this alternate universe of Greek Street Art in a way London hasn't seen before!